Recreational vehicles of all makes and models are rolling off the manufacturer’s lot with serious problems. Your chances of buying a “lemon” increased 10-fold over the last few years. A Lemon law for RVs exists in only a few states but there is a Federal law that applies to vehicles less than 2 years old. Later in this post we discuss more about the law itself. The focus of this post is to prevent you from finding that lemon and avoiding any legal hassles. 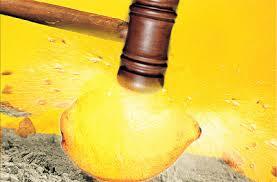 If stuck with a lemon, you cannot legally re-sell it, so pay attention. When you find an RV layout that works for you, there are a few items you can check before you call the pre-purchase inspector. Let’s take a tour through the first RV you find that suits your lifestyle dream. This tour in the real world takes about one hour. Are the side panels aluminum, or Filon? Aluminum offers the best protection against the elements. Older RVs from the late 80s and through the 90s, aluminum or thick fiberglass sidewalls were used instead of Filon. For those of you not familiar with Filon (used on trailers and fifth wheels sidewalls since approx. 2005), it is a thin fiberglass/plastic sheeting attached to a cardboard substrate. Moisture leaking into the panels causes delamination bubbles; probably mold and mildew as well within the backing. How can you tell if the sidewalls are Filon or Aluminum? Filon is smooth and flat. Aluminum has slight ripples running throughout the sidewall that almost look like dents. Outside doors close completely and lock securely? If not, this is a sign of a chassis mis-alignment. Perhaps an accident caused the problem but could be lack of quality control at the manufacturer. Outside stairs operate properly? Using the inside switch, retract them several times. If unstable, check the attachment brackets. Windows function properly? Open and close all windows to make sure they close fully without feeling flimsy in the window frame. Levelers work properly? The levelers may be manual crank, electric or hydraulic, four corners or a triangle. This is an important accessory for a happy lifestyle. Without these, blocks under the tires must be used to level the rig. Add 30 minutes to the setup time, not to mention frustration and physical exertion. On the roof, are there cracks in the seams or joints? Is the trim securely fastened? Any signs of rust inside or out? Inside walls not squared to the cabinets? Cabinet doors hanging oddly when opened, not closing properly? Water damage spots on the headliners? Mark and Dawn Polk, RVEducation101.com, published a Special Edition of their newsletter to address this quality question. Download the newsletter (PDF 3 MB) HERE. There are specific checklists and photos to help you weed out the worst of the quality defects. Before you buy, check this out. The answers to these questions can indicate a manufacturing glitch that may not be fixable. For real world reports, listen to The RV Show USA’s Angry RVers. As a sample, look in the right column here on this blog homepage. Listen to the podcast of my guest spot on The RV Show USA where we discuss the quality issue. Once you spot a possible RV make and model that fits your dream, get the VIN number too (if possible). Take that information to the National Highway Traffic Safety Administration (NHTSA.gov). Enter that information to find the recalls for this RV. If any recalls are serious manufacturing “glitches,” walk away from the entire make and model line. Often these glitches are not fixable. Their database is extensive from at least the 1990s to the current date. Explain to the dealer (or owner) that you intend to hire an independent inspector to check out the RV. Set a date for the RV to be hooked up and all appliances active. Mention that the refrigerator needs to be already at 40 degrees F. Make the appointment to meet with the inspector at the dealership when you can attend (important). If you receive any resistant from the dealer, walk away immediately. The inspector keeps you apprised of any problems, allowing you to negotiate with the dealer (or owner) to drop the price or fix the problems. Sometimes the RV is parked in a storage lot that prevents plugging in the electric, so have the owner drive it to a repair shop. Repair shops are usually very accommodating because they hope to get the repair business. Yes, new RVs still need to be inspected by professionals. There are so many manufacturing flaws that the average consumer cannot possibly find them all. To find a certified Inspector, visit NRVIA.org (National Recreational Vehicle Inspectors Association). If there is not a certified inspector near you, hire a local mobile repairperson. Download an inspection checklist here as a guide. 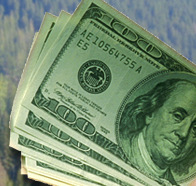 Yes, this adds about $200-$500 (top rate for oil testing, etc.) for the inspection service, but may save you tens of thousands later. Expect the inspector to spend at least 2 hours running through the checklist. Your RV is not covered by a lemon law in most states, but the Federal Government offers some protection. Visit Lemonlawcase.com for information on each state’s current lemon law. Even if the lemon law in your state partly or totally excludes motorhomes or recreational vehicles, this does not prevent you from pursuing a legal claim under the Magnuson-Moss Warranty Act. This is a federal statute that can offer financial relief to consumers stuck with defective vehicles. Under the Magnuson-Moss Warranty Act, a warranty permits two or three attempts at adequate repairs of a particular defect. The Federal Lemon Law’s reasonableness requirement applies to the entire vehicle not just each individual defect. In other words, a vehicle that has multiple defects can be covered under the Magnuson-Moss law even if not covered under a state lemon law because of insufficient repair attempts for a single problem. Yes, it sounds exhausting, so arrange that pre-purchase inspection regardless of how much energy you have to expend to get it. Be creative, be inventive, but find someone qualified to inspect it BEFORE you buy it. Don’t be bullied into a short time-frame decision. 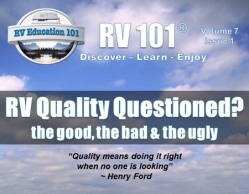 For more information on the RV quality control issue, read my post, RV Quality Control – What? ?